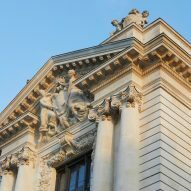 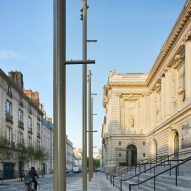 London firm Stanton Williams has renovated and extended the Musée d'arts de Nantes, adding a series of extensions including a monolithic structure wrapped in stone and translucent marble to the Beaux-Arts building. 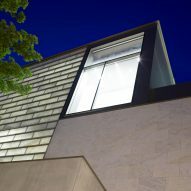 Stanton Williams was awarded the project to oversee the modernisation of the museum in 2009, with a proposal that involved introducing several contemporary interventions alongside the existing buildings. 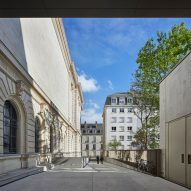 The original museum, which opened to the public in 1900, was designed by local architect Clément-Marie Josso around a central courtyard covered by a skylight inspired by the Louvre's Grande Galerie. 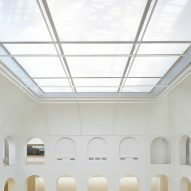 This use of natural light in the main Palais building influenced the approach of Stanton Williams, which focused on finding ways to bring the light of the French city into the new spaces. 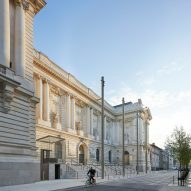 The extensions provide 4,000 square metres of additional floor space to house the museum's growing collection of artworks, and are supplemented by a new auditorium, educational facilities, an archive and outdoor sculpture court. 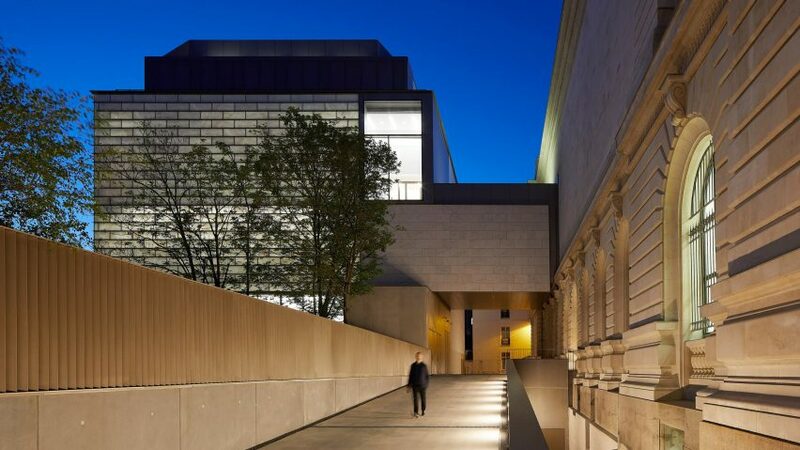 "The new Museum has been conceived around the existing collections, creating an intimate dialogue between art and architecture that firmly embeds the new museum within the distinctive historical setting of the city," said Stanton Williams director Patrick Richard. 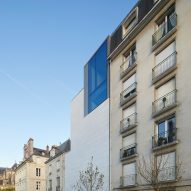 One of the new additions is a structure called the Cube that straddles an existing passage leading between the Palais and the gardens of a 17th-century oratory chapel that now houses a multi-channel video installation by American artist Bill Viola. 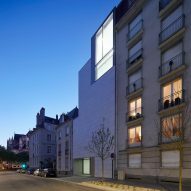 The Cube accommodates galleries across four floors, which are designed as flexible spaces interspersed with wide windows that aid navigation inside the building and make the artworks visible from the street. 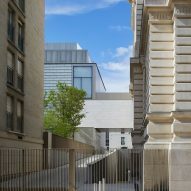 This monolithic structure is intended to provide a link between past and present, with the pale stone used to clad the bridging section echoing the materiality of the Palais and other neighbouring buildings. 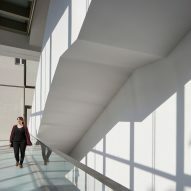 The south facade of the Cube has steps and walkways extending along its inner surface. 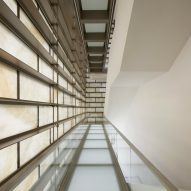 It features a curtain wall of marble and translucent laminated glass that allows natural light to filter through the veined stone during the day, and glows from behind at night. 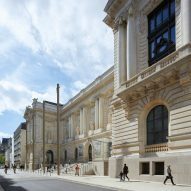 A consistent palette of materials applied throughout the renovated areas reinforces the impression that the museum is a monolithic volume with individual spaces carved into it. 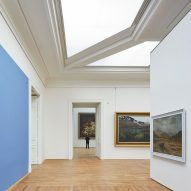 In the Palais building, existing skylights used to bring daylight into the galleries and the patio are upgraded using modern technologies to resolve issues with the original 19th-century design. 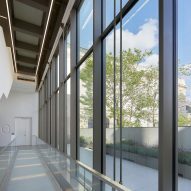 Layers of glass, taut fabric and adjustable blinds inserted into the existing metal frameworks enable daylight to be optimised and controlled, while maintaining the effects created by temporary light variations outside. 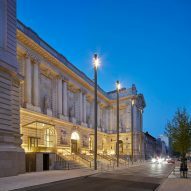 The patio at the centre of the Palais has been transformed by the addition of Susanna Fritscher's installation comprising 350 kilometres of translucent silicone thread that emphasises the quality of the natural light and space. 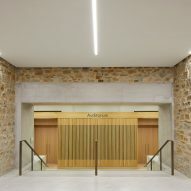 The auditorium, educational workshops and exhibition rooms are housed in a newly excavated basement area beneath the Palais, where the thick stone walls of the original foundations are now on show. 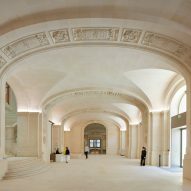 Large concrete porticoes and plinths supporting the foundations highlight the contrast between the historical and new parts of the building. 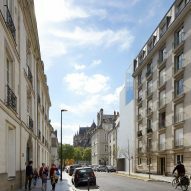 Stanton Williams is also working on a new building for the Museum of London, after its joint proposal with architect Asif Khan was chosen in a competition. 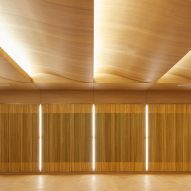 The firm's other completed projects include the campus for London art and design college Central Saint Martins, and the Stirling Prize-winning Sainsbury Laboratory in the botanic gardens of Cambridge University.